Based on dozens of interviews conducted over six years, Green spins the master narrative of the 2016 campaign from its origins in the far fringes of right-wing politics and reality television to its culmination inside Trump’s penthouse on election night. The shocking elevation of Bannon to head Trump’s flagging presidential campaign on August 17, 2016, hit political Washington like a thunderclap and seemed to signal the meltdown of the Republican Party. Bannon was a bomb-throwing pugilist who’d never run a campaign and was despised by Democrats and Republicans alike. Yet Bannon’s hard-edged ethno-nationalism and his elaborate, years-long plot to destroy Hillary Clinton paved the way for Trump’s unlikely victory. Trump became the avatar of a dark but powerful worldview that dominated the airwaves and spoke to voters whom others couldn’t see. Trump’s campaign was the final phase of a populist insurgency that had been building up in America for years, and Bannon, its inscrutable mastermind, believed it was the culmination of a hard-right global uprising that would change the world. Any study of Trump’s rise to the presidency is unavoidably a study of Bannon. 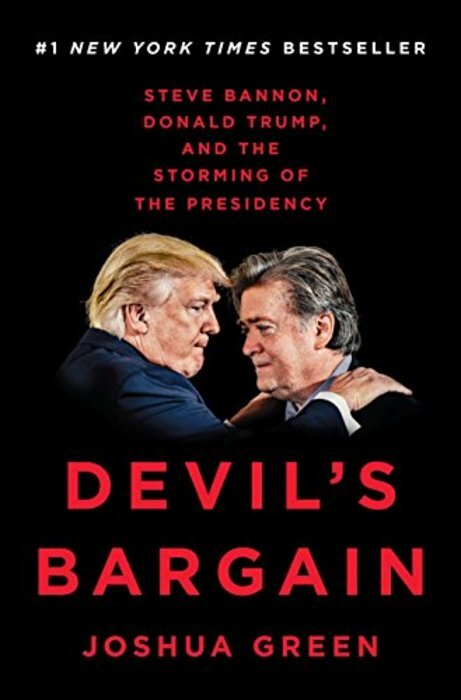 Devil’s Bargain is a tour-de-force telling of the remarkable confluence of circumstances that decided the election, many of them orchestrated by Bannon and his allies, who really did plot a vast, right-wing conspiracy to stop Clinton. To understand Trump's extraordinary rise and Clinton’s fall, you have to weave Trump’s story together with Bannon’s, or else it doesn't make sense.